Complete journal archives from 2002-present are only available to ACSR Members. If you are interested in joining ACSR, please complete the membership application. ACSR members may login here. Abstract: The use of the laser scanner for documentation at crime and collision scenes has grown significantly over the past ten years. Many law enforcement agencies and private firms who have traditionally used hand measurements or total stations have migrated over to the laser scanner because of the speed, ease of use, and amount of data it can capture. Unlike the total station, the laser scanner requires post processing to align all the separate scans. Depending on the method chosen, differences in accuracy may be noted. However, the use of external references such as spheres or checkerboard targets allows for a robust registration of scan data. Rather few studies have been published that look at the differences in accuracies between laser scanners and total stations. Therefore, this study looks to make a comparison between 20 distance measurements obtained by each instrument at a small to medium outdoor “scene”. The data obtained shows that, on average, the laser scanner and total station provide measurements that are within 0.8 mm of each other with a standard deviation of 2 mm. In one instance there was a maximum difference of 6 mm while in three cases the measurement errors were 0.000 mm. Abstract: Following the 1963 assassination of President Kennedy, the Warren Commission established that one of the three shots fired in Dealey Plaza missed. By 1979, subsequent investigations determined that the first shot fired was the one that missed. Left unanswered was why the first shot missed and how to explain phenomena associated exclusively with the first shot. A traffic signal assembly, under which the presidential vehicle traveled, could have obstructed the first shot but was never technically examined. Beginning in 2010, this assembly was subjected to a number of forensic examinations, including rifle test firings on exemplars. From these findings, it is concluded that the most reasonable explanation for why Lee Harvey Oswald’s first shot missed is that the bullet struck the mast arm of the signal light and was redirected on its flight path, eventually to a concrete curb where the FBI found evidence of a bullet impact. Abstract: Case management is organizing evidence to be workable, retrievable, and understandable in the context of the scene, providing the foundational and structural framework for crime scene reconstruction (CSR). The importance of proper organization to reconstruction cannot be overstated and has been recognized in the past by pioneers in the field. Organizational efforts should begin at the onset of an investigation with a mindset towards later reconstruction. The author provides an illustrated methodology for organizing case information within a flexible framework that facilitates later identification, retrieval, correlation and analysis. 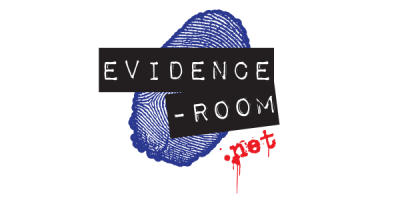 The approach builds upon and expands common evidence documentation techniques, and allows for later inclusion of all types of forensic analysis. The result is a more thorough and comprehensive reconstruction in which supporting documentation is easy to reference and retrieve. Abstract: Crime scene analysis is a discipline involving the identification and correlation of various actions that occur during a given incident. These correlations exist as both causal and temporal relationships between the various objects involved in the incident. Although the beliefs that guide crime scene reconstruction are relatively simple and very much a product of common sense, this paper outlines the underlying foundation of these beliefs in detail. Abstract: The need for quick and versatile scene documentation tools continues to be of great importance at both crime and accident scenes. What was once documented by hand has transitioned to the total station and, most recently, the laser scanner due to its ease of use and capacity to quickly document millions of data points for a more complete documentation of the scene. Both the laser scanner and total station have been accepted in courts all over the world and are in use at police agencies globally. However, few studies, if any, exist that look at the accuracy and repeatability of these laser-based instruments in practice. Therefore, this validation study shows that under controlled conditions for an indoor scene with an expanse of approximately 60 m, the total station exhibited a mean absolute error of 1.1 mm. The laser scanner had similar results using a targeted and targetless registration approach and exhibited mean absolute errors of 1.3 and 1.0 mm, respectively, under the same environmental conditions. All three tests performed for each setup/instrument showed an average standard deviation below 0.5mm. For most crime and accident scene documentation purposes, these results are well within acceptable ranges. Depending on the type of environment, object surface properties, number of scans, distance being measured, choice of setup parameters and other factors, these accuracy values may vary. Abstract: In this study, the author examined the different types of physical preservation methods for dust print lifts. 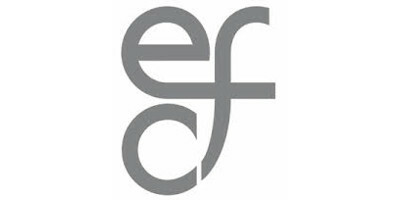 Dust impressions were collected with Kinderprint’s electrostatic dust print lifter and documented at one week intervals with examination quality photography. Results indicated that storing dust print lifts taped to the top of cardboard mailing boxes produced the least amount of degradation to the print. Further, examination quality photography is widely heralded as the only sure method to maintain the detail of a freshly lifted dust impression. Therefore, the results of this study also illustrated the damaging effects of short term storage on dust print lifts and therefore highlighted the importance of immediate photography upon collection of dust impressions. Abstract: In October of 2004 six testing grids were created on a hilltop at the Highlands Ranch Law Enforcement Training Facility located in Douglas County approximately eleven miles south of Denver, Colorado (USA). Each grid unit measured 24″x24″ in (61 x 61cm). The authors poured 500 ml of neat horse blood into each grid unit at the commencement of the study to test the effectiveness of using the blood reagent luminol to detect the blood pattern and presence over prolonged exposure. The testing was originally expected to last no more than 24 months. This study marks the eighth year of successful blood detection at this site using luminol. 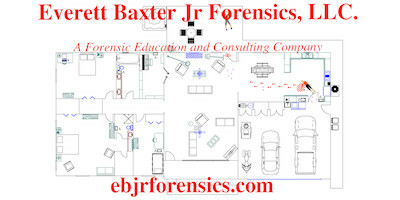 Abstract: Crime scene investigators generally have two options when they need to create a three-dimensional (3D) model of a crime scene: enlist the services of an expert 3D modeller who specializes in graphic modelling or learn one of the full-fledged modelling tools to create the model themselves. Many modelling tools have a very steep learning curve, so the time required to invest in learning a tool to get even a simple result is often prohibitive. In this article, we introduce SketchUp (version 8) as a relatively easy-to-use tool for modelling crime scenes in 3D, give an example of how the software can be applied, and provide resources for further information. Abstract: The pathological postmortem interval (PMI), or time since death estimate, is widely understood among crime scene reconstructionists, pathologists, and prosecutors. Unlike the pathological PMI, the entomological PMI is not strictly an estimate of the time since death. This paper will discuss the entomological PMI and the environmental and cultural factors that may influence it. Abstract: A case report describing the examination of stomach contents at the autopsy of a robber, who was shot and killed during the commission of his crime, which led to the identification of the second and outstanding robber. During autopsy, digested stomach contents gave the attending forensic analyst information regarding a possible location of two robbery suspects prior to committing their crime. This information led the analyst to a Wendy’s fast food restaurant near the vicinity of the crime and video analysis from the restaurant’s surveillance system provided investigators with the face of a known criminal they could identify. Abstract: Rhino Photogrammetry is introduced, to minimize or eliminate the need for measurements at medium to small crime scenes, here it is critical to get in and out of the area as quickly as possible. The main benefit is the huge time savings based on eliminating the need to have every item of evidence measured twice by either baseline coordination or triangulation. Photogrammetry, or the technique for extrapolating accurate measurements from photographs, can be used to derive the same measurements as accurately as if measured with traditional tape measures. Using Rhino Photogrammetry would be optimal when bad weather is approaching and will destroy the evidence if left outdoors during storms or when the military needs to recover as much evidence as possible before becoming targets of enemy forces. Abstract: We report on a study in which neat (undiluted) and cleaned bloodstains were covered with commercial wallpaper in order to test methods of discovery and recovery of said stains. Cleaned and camouflaged (covered) bloodstains pose significant challenges to the crime scene reconstructionist. Criminals may employ a variety of methods to destroy bloodstain evidence from a simple cleaning with water to extreme measures such as covering the cleaned areas with paint or wallpaper. This study supports the conclusion that neat and cleaned bloodstains are very difficult to detect through wallpaper but may be detected once the wallpaper is removed. Abstract: Touch DNA refers to the DNA that is left behind from skin cells when a person touches or comes into contact with an item. However, since Touch DNA (also referred to as wearer or contact DNA) is invisible to the naked eye, and is usually deposited in smaller amounts than the DNA found in bloodstains or other body fluids, it is more difficult to identify areas where skin cells may be present. As such, it can be quite challenging to obtain DNA profiles from these samples. Obtaining successful Touch DNA results depends on recognizing items which may be suitable for Touch DNA analysis, proper collection/storage of these items, and the subsequent use of the optimal sampling technique that will recover the highest number of skin cells. Abstract: The demand for law enforcement to have access to less lethal tools has never been higher. Within the last ten years, products from TASER® International have dominated the marketplace and are now in use in more than 16,000 police agencies worldwide. As investigators, scientists, and crime scene analysts, Electronic Control Devices (ECD) such as TASERs will be encountered in casework. Their role, capabilities, and limitations must be understood to properly collect and analyze the evidence involved. These devices and their components can be analyzed to determine proper function, establish a hit or a miss, and in some cases determine the duration of shock to assist in the reconstruction of a field “failure” or in custody death. Abstract: In October of 2004 the authors began a study to examine the possibility of detecting blood in soil over extended periods of time. A sample grid was created on a hilltop at the Highlands Ranch Law Enforcement Training Facility located in Douglas County, Colorado (USA). The sample grid is comprised of six 24″x24″ (61x61cm) units in which 500ml of neat horse blood was poured in an “X” pattern. Subsequent studies have shown that a recognizable “X” pattern persisted up to 16 months and that blood can be detected at the site up to four years following deposition. This paper presents another extension of that detection up to six years. Abstract: Reconstructionists must sometimes deal with crime scene evidence that has been cleaned, moved, or repaired. The extent of these alterations can greatly impair efforts to understand the events surrounding the commission of a crime. In the worst of scenarios, repairs or alterations to the evidence will effectively render it “undetectable”. Such is the case with patched bullet holes. This paper examined three non-destructive methods for detecting patched bullet holes in drywall. Abstract: Visualization of differential oxidation on phase brass, subject to heating to temperatures of up to 600°C, is shown to be enhanced by selective digital mapping of colors reflected from the surface of the brass using Adobe® Photoshop®. Enhancement is optimal when the brass is heated to ~250°C with areas of oxidation having a mirror like appearance. The use of this enhancement method to visualize fingerprint sweat deposits on brass cartridge cases is demonstrated. Abstract: Photogrammetry, the practice of obtaining accurate measurements from a photograph, is a technique nearly as mature as photography. One of the most rudimentary forms, perspective grid photogrammetry, utilizes an object of known dimensions within the photograph to determine the spatial relationships of evidence in the photograph. By measuring the location of two points, each piece of evidence captured within a photograph may be extrapolated. This enables on scene crime scene investigation work to be completed in a fraction of the time typically required using baseline or triangulation measurements. Spending less time measuring can be advantageous for those crime scenes located in war zones, in situations in which bad weather will disrupt the crime scene, or whenever the time at the crime scene must be minimized. Abstract: In 1992 a double murder in El Paso County, Colorado took the lives of Kermode and Pamela Jordan. Physical evidence strongly implicated one juvenile, but failed to establish guilt for his juvenile accomplice. The statements by both boys were ruled inadmissible, which led the District Attorney to pursue a crime scene analysis and reconstruction expert to explain to the jury that one attacker could not accomplish all of the events that took place during the crime. Abstract: A challenge for the law enforcement officer is ensuring a complete and thorough investigation. Complete investigations do not depend on a single characteristic or lone investigative technique. The complete investigation requires the multiple disciplines and abilities of the investigative team. 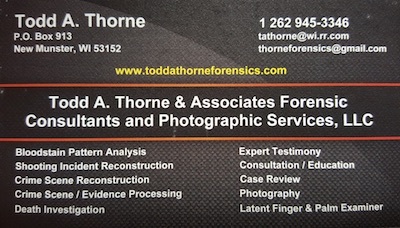 Adequate crime scene analysis and reconstruction, forensic testing, effective interview and interrogation, and analytical skills each contribute to the whole investigation. When investigators ignore or neglect procedures, discontinue or slow an inquiry upon arresting an offender, or fail to examine all aspects of a case, they might not realize the victory of a successful prosecution. Investigators frequently experience feelings of accomplishment during the beginning of an investigation, the efforts to get resolution, and ultimate capture of a suspect. Occasionally, however, the investigator has a sensation similar to the one of elation, but it is actually desolation. This unfortunately occurs when a case fails at trial secondary to an inadequate or incomplete investigation. Abstract: Information gathered from cast-off patterns can be quite difficult to communicate to others who may not have attended the scene. An analyst at the scene can often visualize where in the room the person was standing when they were swinging the bloodied object that created the pattern as well as the approximate plane of motion of the swing. This information may be used as a limiting factor in their reconstruction, but the current methods of recording and conveying this information are limited. This paper demonstrates that more information can be gathered through an analysis of cast-off and presents a technique to record, analyze, and describes a technique to communicate it to others using a 3D software model. 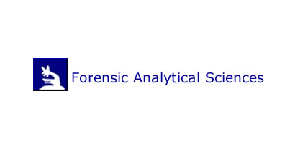 Abstract: Event Analysis is a specific crime scene analysis method in use today. Its purpose is to objectively define what happened in alleged criminal events and in what order it happened. This article compares Event Analysis methodology to the analysis method known as Multilinear Events Sequencing (MES). MES is an established methodology used by safety specialists, failure analysts, and other scientists to evaluate unique and rare events. This comparison will effectively demonstrate that the two methods are one and the same in theory, process, and purpose. Can Accident Investigation Tools Help Crime Scene Reconstruction? Abstract: The search for ways to improve present crime scene reconstruction practices is a continuing endeavor. Might the adaptation of tools used in the accident and incident investigation field be useful in that endeavor? That question was first addressed during the 2010 Association for Crime Scene Reconstruction Conference, at which some such tools were explored during an experimental demonstration. This article describes task similarities, and accident investigation concepts, principles and tools that might be adaptable to similar crime scene investigation and reconstruction tasks. Key candidates include viewing occurrences as processes, an iterative framework for investigations, and standardized input data structure. PDF: Can Accident Investigation Tools Help Crime Scene Reconstruction? Abstract: Many studies have been conducted about the evaluation and reconstruction of fired bullet paths delivered in indoor scenes (1-4). Typically, the shooting environment for such training is achieved by the construction of temporary walls, artificial matrices, or other simulated surfaces so that shots of known origin can be safely delivered and the properties studied while on an active shooting range. During this study an abandoned and vacant structure, the University of Colorado Hospital building, was made available for delivering live shots within the office areas. Abstract: In November of 2006 a family with small children was crossing the street in downtown Denver when they were hit by a DUI driver that fled the scene. A license plate that was left behind led to the arrest of the driver and passenger a few hours after the collision. There were contrasting witness statements about what happened due to the traumatic nature of the event. Several video cameras in the area captured the event. The video recordings from those cameras were used in conjunction with a scale diagram and traffic engineering report to clarify the actual sequence of events as well as determining the vehicle’s speed. The author was involved in this investigation and discusses the methodology behind the speed determination as well as how he was able to determine the driver had a red light when the light was not visible in the video. 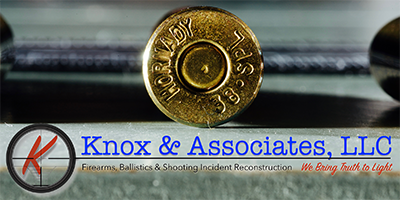 Abstract: When a dedicated shooting reconstruction team is not immediately available, the first crime scene investigators on the scene need to properly document the condition of the scene and preserve evidence that will be need for the reconstruction. This paper offers suggested guidelines for crime scene investigators to properly document and preserve evidence in a shooting scene for later processing by a shooting reconstruction team. Abstract: In April of 2008 a tire examination case was presented to the author in which the documented impression evidence showed evidence of extreme tire wear in the crime scene impressions. The suspect vehicle, which was recovered shortly after the crime, also exhibited corresponding wear on the tires in the same mounted positions. The degree of wear was such that the author was able to establish a greater degree of association between the impressions and the set of tires from the vehicle than he could otherwise expect from a single tire alone. The term “extreme tire wear” is introduced. The author also discusses the need to draw conclusions regarding the set of tires, as opposed to individual examinations, when the possibility presents itself. Abstract: In June 2002, six-year-old Logan Tucker disappeared in Woodward, Oklahoma. It was fourteen days before law enforcement learned of his disappearance. His mother, Katherine Rutan, told various stories to neighbors, relatives, and law enforcement. Although she was a suspect, authorities were reluctant to charge her without a body. In October 2005, the Woodward County District Attorney’s office contacted me for my opinion on the case. They then asked me to lead the prosecution. In 2006, Rutan was charged with First Degree Murder. In 2007, following a nine day jury trial, she was convicted and sentenced to life without parole. This article discusses the facts of the Logan Tucker case along with the legal and investigatory aspects of a “no body” murder investigation and prosecution. Abstract: A variety of organic and man-made products are marketed for gardening and pest control to the consumer. The use of dried blood as a rich source of nitrogen has been shown to be an excellent organic plant food and when mixed with other components may be a deterrent to animal infestation. Dried blood is a by-product recovered from animal rendering plants and is readily available and inexpensive. This research was conducted to characterize the properties and potential forensic implications that such products can possess. 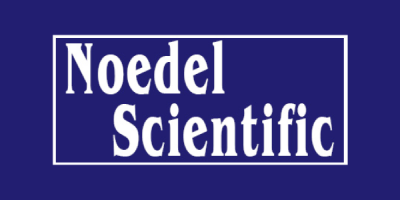 Journal articles from 2002-2008 are only available to members.